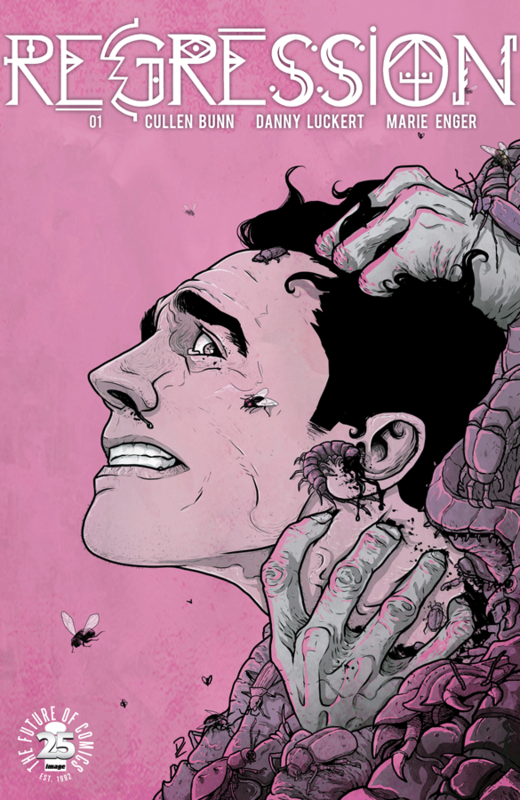 Have you ever had that dream where insects are crawling all over your body? Yes? Maybe? Now imagine being awake for the whole experience. Adrian is having this sort of nightmare all the time. With the help of his friend, Molly, who believes that a hypnotist could expose the truth about Adrian’s walking nightmares. With this Regression comes into play and our story truly begins. It’s a creep tale with Adrian’s past lives cause damage upon his current life. It’s a compelling story because the way the story is presented in sense that we are out of control. The artwork is detailed and life-like. We feel like we could stand right next to Adrian and Molly. The figures and facial illustrations sell the uneasiness to the book. Since this is the begin of this tale we left with the craving for more or we have that itch that is caused the small bugs crawling along our skin.